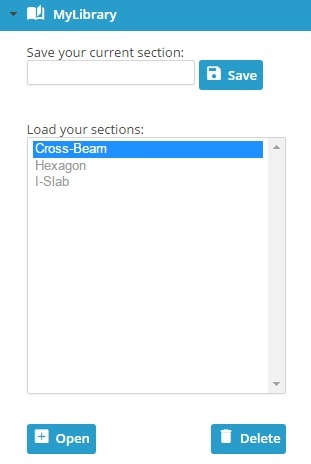 SkyCiv's Section Builder allows you to create sections by adding shapes onto the design area. All members only have one section, however each section can be made up of one or more shapes. Adding shapes can be done in one of four ways. Each of these four ways are grouped in their own menu as shown below. The Templates menu allows you to use one of the 11+ standard shape templates. It is the quickest and easiest way to add a shape onto the design area. Simply adjust the dimensions to suit the shape you are after. To get started, expand the Templates menu, and select one of the template shapes. 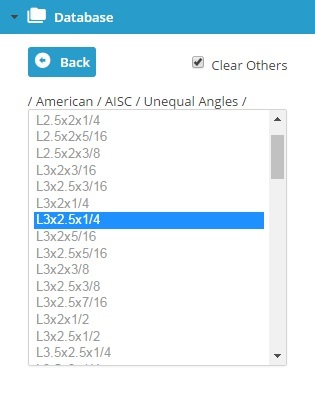 You can double click your selection, or single click and click the 'Add' button to add the shape onto the board. 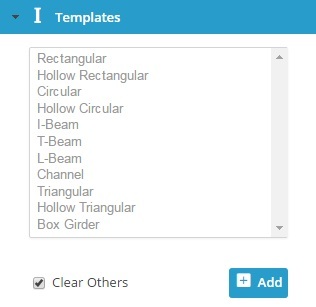 If the 'Clear Others' checkbox is ticked, it means that every time a new template shape is added, it will remove any previously added shapes. This checkbox is ticked by default. To add more than one template shape, make sure this checkbox is unticked. The Database menu provides access to an international collection of section catalogs from America, Australia, Britain, and Europe. In a similar way to the Templates menu, a 'Clear Others' checkbox is present. If ticked, then every time a new Database shape is added, all other shapes will be cleared from the design area. The Custom menu allows you to create your own shapes. 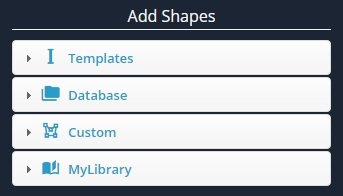 This is a useful feature when the shape you are after does not exist in the templates. We provide three ways for you to create shapes. Points Shape - Define a shape by its points. Specify a fillet at any of the points. Line Shape - Define a shape by a line path and thickness. Specify a uniform fillet. 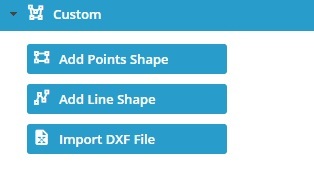 Import DXF File - Sketch your shape in any CAD package and then save the file in DXF to be imported. The way to use each of these features will be explored in detail in their own documentation section. The MyLibrary menu allows you to save, load, and delete your sections. This will allow you to quickly and easily reuse or continue to work on your sections in the future.